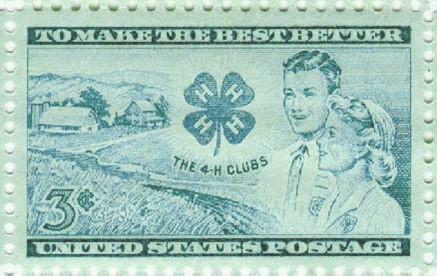 To mark the 50th anniversary of 4-H, a commemorative three cent stamp was produced. The stamp went on sale at Springfield, Ohio on January 15, 1952. An initial order of 110 million stamps were authorized. This entry was posted in History and tagged 4-H Postage Stamp by Larry Krug. Bookmark the permalink.